Winter brings colder days and longer nights, which can make for a bleak time of year for those in Northern latitudes. However, Europeans have been dealing with the seasonal change for eons and they stage a number of lively and invigorating festivals to combat the winter doldrums – making winter a great time to visit Europe for a family vacation! Here are three of our favorite European winter festivals! 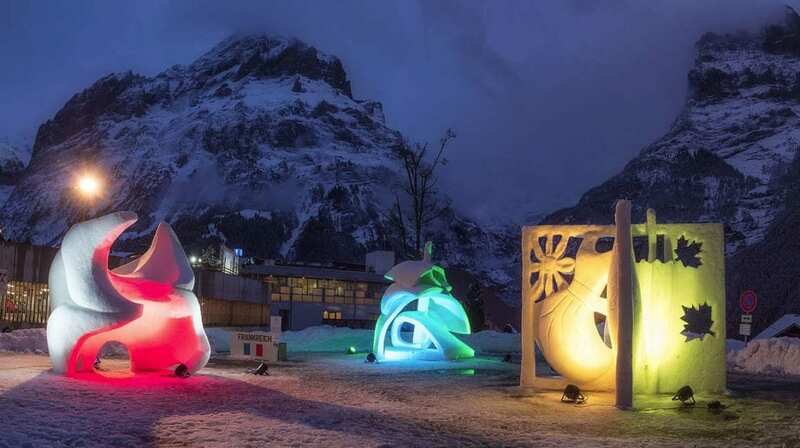 Started in 1983, Grindlewald will host the 37th annual World Snow Festival in its Village center. Artists from around the World will design beautiful figures and sculptures out of one-meter blocks of snow -judged by a panel of experts according to topicality, originality, and skill. Festival attendees are free to wander the 14 displays (keeping warm with a traditional mulled wine) both as they are being crafted and when they are completed and bathed in colorful lights. Beyond the festival, few scenes are as evocative of winter landscapes than Switzerland’s towering mountains and snow-covered valleys. Whether hitting the ski slopes or cozying up to a warm fire with a hot chocolate, Switzerland has much to offer a winter traveler! Few cities have the charm & allure of Venice, and few times of year have the revelry & fun of a pre-Lenten carnival! Dating back to the 8th Century, carnival festivities blend together long-held traditions and the best that current Venetian culture has to offer. In an effort to pack-in gluttonous debauchery before the start of Lent, celebrations take over the canaled City with tons of delectable food, colorful costume parades, traditional masked balls, and more! But, the City is a traveler’s paradise any time of year. Wandering the car-less streets, crossing magnificent arched bridges, and getting lost among the maze of piazzas and avenues is a uniquely Venetian activity. Often what you find when you’re not looking for anything, in particular, makes for the most memorable family experience! St. Patrick’s Day is a cultural touchstone of Ireland –around the World and especially in Ireland! 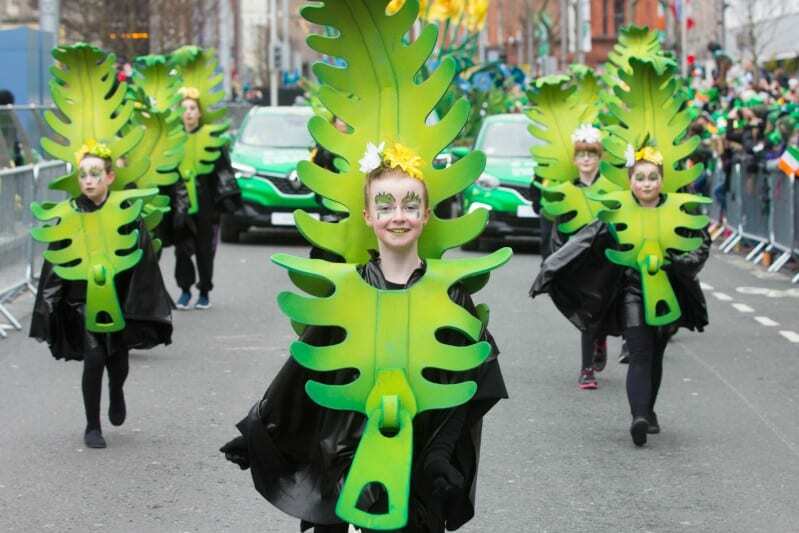 Dublin’s St. Patrick’s Festival aims to celebrate the talents and achievements of the Irish people. The Greening of the City sees prominent buildings adorned in green lights nightly and on March 17th (St. Patrick’s Day) floats, dancers, music, and celebrations weave through Dublin’s main streets. Throughout the celebration, the City’s iconic bars and restaurants dole-out ample pints and full plates of hearty Irish fare to fuel the festivities. Ireland is a relatively small country but has much to offer in terms of sights and activities. Driving from a castle to castle in the south of the country is a notable excursion, and the lush green hills of the Irish countryside will set you on-pace to welcome the coming Spring in your own part of the World! This entry was posted in Europe, Holiday Travel and tagged Dublin, Europe, Europe Winter Festival, Europe winter vacation, Grindlewald, Ireland, Italy, st patrick's day, Switzerland, Travel Europe, venetian carnival, Venice, Winter Festival. Bookmark the permalink.